By this time, it's barely even a surprise to report on a professional video game player such as Tyler Blevins, also known as Ninja, probably the most famous of his field, making big bucks to do something many of us would happily do for free (and, in fact, pay for the privilege). But it's still interesting to see how video game companies are often ready, willing, and eager to shell out large amounts of money to have players give their releases a shot, provided they have a large enough viewing audience. Like, for example, Electronic Arts, which reportedly paid around $1 million to have Ninja play its latest release Apex Legends shortly after its release in February. EA's release strategy for Apex Legends was to draw in several notable game streamers – Ninja among them – to play the game just hours after it was officially released. The strategy seems to have paid off, with a reported 10 million players signing up to play the game in the first three days of its availability. Ninja's only responsibility to earn that paycheck was to tweet about the game and then stream his playing of it to his 13 million followers on the Twitch game streaming platform. "We really wanted to create a day where you couldn't escape Apex if you cared about games and we wanted it to feel like an event was happening everywhere around the globe on that day…We had streamers from all over Europe, LatAm, North America, Korea, Japan so that we could get our message out there and people would see the game." That appears to have worked, with the aforementioned 10 million early sign-ups for the game, as well as the estimated $500 million in annual revenue for EA that will come along with Apex Legends' continued popularity. 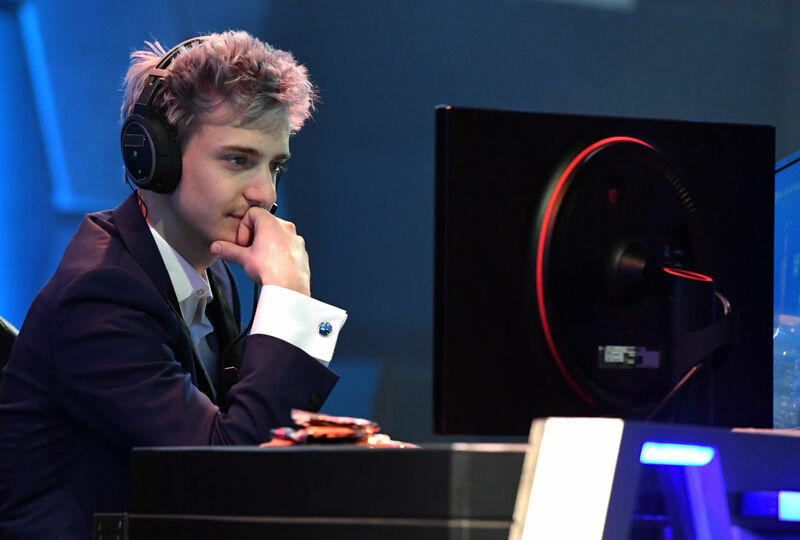 Streaming star Tyler "Ninja" Blevins is reportedly making around half a million dollars a month just playing Fortnite (sometimes accompanied by Drake) for his millions of viewers on Twitch, YouTube, and Amazon Prime. On July 21st, the "Rise Till Dawn" event will take place at Chicago's Willis Tower, otherwise known by its former name of Sears Tower, and players will be able to compete directly against Ninja himself.